Jacobs, Daniel. Amazing Crickets. M. 1999. This book has facts about crickets: their anatomy, their senses, how they sing, why they sing, and what their life-cycles are like. The photographs may not be as richly colored as those in other insect books (neither is the subject), but for kids who want to know about the bugs they see around, this can be a good choice. Marvin Redpost: Alone in his Teacher’s House. M.
INFO: Sachar, Louis. Marvin Redpost: Alone in His Teacher’s House. M. 1994. DESC: This installment of Sachar’s immensely likeable Marvin Redpost series starts off with a bang – one that every 2nd or 3rd grader would ogle over: our hero, Marvin Redpost, gets the chance to dog-sit for his teacher, Ms. North, while she goes out-of-town. Translation: Marvin Redpost, in his very own hand, holds the key. To his teacher’s house. The rest of the developments in this shockingly mature book come truly as surprises, and I won’t spoil them here. 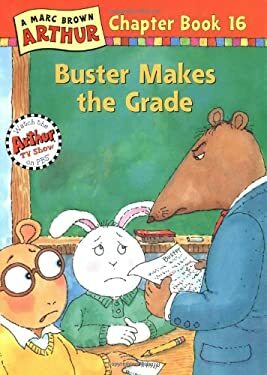 But, suffice it to say that this book winds up being a bit more serious, touching, and realistic than one would ever expect from a level-M early children’s book. It’s probably worth it to read, but be prepared to counsel your sad kids when it’s all said and done! INFO: Peterson, John. The Littles. M. 1967. DESC: Tiny people live in the walls of the houses of bigger people, and eat all of their stuff, and make everything they need from things they steal! But, it’s not all so one-sided: they also repair the electricity for the bigger people. In this first installment in the Littles empire, the Biggs (resident Big People) are going out of town for some months, and the Littles brace themselves (all with different opinions) to handle the sub-letters. While the gimmick of miniature people with (inexplicably!) long, furry mouse-tails is definitely enough to hold the attention of many of our kiddos, it also leaves behind it a rather inane plotline and dated narrative style. Still, if tiny people hold their attention and fancy – go for it, and nevermind the rest! Marvin Redpost: Why Pick On Me? M.
INFO: Sachar, Louis. Marvin Redpost: Why Pick On Me? M. 1993. DESC: The Marvin Redpost series has been wildly popular with students transitioning from leveled readers to chapter books – and this volume, especially has been a hit. When Marvin is accused of picking his nose, he does everything to try to get his classmates to forget it – including, incidentally, reminding them about the rumors constantly. Great for those resistant students whose hearts can be won with the mention of the word “boogers” (or anything else “gross,” for that matter! ), Why Pick On Me is a humorous look at the sometimes quite serious world of elementary school bullying, and is a lighthearted lesson in the stuff that matters most: sticking to your guns, and nevermind the haters.